Road burn injuries, also known as road rash injuries, are painful scrapes and bruises that occur when motorcycle riders are thrown or dragged by their bikes. Since riders aren't secured by a seat belt or safety restraint, many times they are thrown from the bike when they're in a motorcycle accident. When skin comes into contact with pavement, gravel, or the ground, the resulting road rash or road burn injuries can be very serious. Many times they lead to emergency medical treatment and hospitalization. In turn, that means piles of medical bills, surgeries, and a long road to recovery. If you were injured with road burn or road rash when you were in a motorcycle accident, contact Edgar Snyder & Associates today. We protect the rights of good bikers, and we can help get you the money you deserve. Avulsion Injuries – These injuries are scrapes that strip away all layers of your skin. Muscle and fat may be visible in a type of avulsion injury known as a full-thickness wound. Avulsion injuries may require skin grafts and scarring. Compression Injuries – These bruising or crushing injuries typically occur when a limb becomes caught between two objects, such as a bike and the road. Scrapes Requiring Stitches – These are open wounds created by scraping against surfaces, often at high speeds. Stitches are required to close the open area and start healing. Due to the nature of these injuries, there is a great risk of infection. These wounds aren't a badge of honor for bikers – they can lead to permanent scars and other medical complications, including infection. Plus, road burn and road rash injuries may require more surgery in the future. If you suffered road rash or road burns due to a motorcycle crash, you already know the pain these injuries cause. The piles of medical bills, insurance company hassles, and confusing paperwork make dealing with the accident even more difficult. But there is hope. 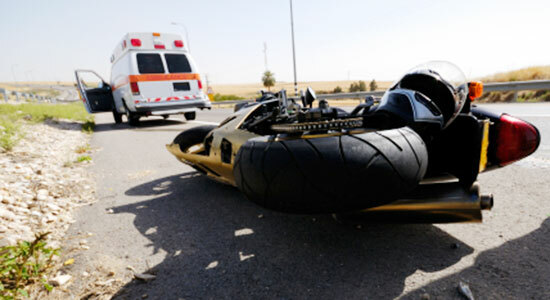 At Edgar Snyder & Associates, we know that sometimes bad things happen to good bikers. You may have a case, and we can help you get your life back on track. At our highly rated law firm, we respect bikers. Our experienced attorneys understand the wide range of problems that go along with road burn injuries and insurance companies that will try to settle your claim cheaply, without your best interest in mind. From the moment you hire us, we go to work for you. From gathering evidence to dealing with your medical bills and paperwork, we give you peace of mind and fight to get you the money you deserve.